Professor Chris Armstrong is Professor of Political Theory within Politics & International Relations at the University of Southampton. I work with normative concepts such as equality, justice and citizenship. 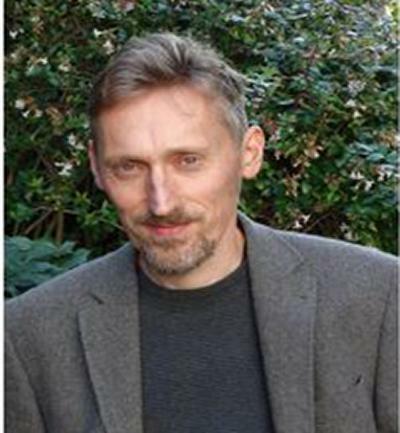 Chris Armstrong is Professor of Political Theory at the University of Southampton, where he has worked since 2005. At Southampton, I am a member of the Centre for Citizenship, Globalization and Governance (Southampton.ac.uk/C2G2) and the new Southampton Centre for Ethics. Before coming to Southampton I worked at Queen’s University Belfast and as an ESRC Postdoctoral Research Fellow at the University of Bristol. I have degrees from the Universities of Durham, Bristol and the London School of Economics. My current work focuses on issues of justice and injustice in the global context. In 2008-09 I used a fellowship from the Leverhulme Trust to investigate challenges to and the implications of egalitarianism as an approach to global justice. In 2012-13 I was awarded a mid-career fellowship from the British Academy on the topic of ‘natural resources and global justice.’ During that time I was also a visiting fellow at the University of Uppsala’s Forum on Democracy, Peace and Justice, and the University of Oxford’s Centre for the Study of Social Justice. My research has been published in journals including the Journal of Political Philosophy, Politics, Philosophy and Economics, Political Studies, Political Theory, the Journal of Social Philosophy, Social Theory and Practice and Ethics and International Affairs. I am the author of Global Distributive Justice (Cambridge University Press, 2012), and Justice and Natural Resources: A Global Egalitarian Theory (under contract with Oxford University Press). Armstrong, C. (2010). Arguing about justice: domestic and global. European Journal of Political Theory, 9(3), 367-375. Armstrong, C. (2009). Defending the duty of assistance? Social Theory and Practice, 35(3), 461-482. Armstrong, C. (2007). Life-styles, life-chances and radical politics: Giddens on the 'new egalitarianism'. Imprints: Egalitarian Theory and Practice, 9(3), 191-210. Armstrong, C. (2006). Citizenship in global perspective. Policy and Practice: A Development Education Review, 3, 14-25. Armstrong, C. (2004). Equality, community and the production of value. European Journal of Political Theory, 3(3), 339-346. Armstrong, C. (2003). Some reflections on equality of power. Imprints: Egalitarian Theory and Practice, 7(1), 44-53. Armstrong, C. (Accepted/In press). Global Distributive Justice: An Introduction. Cambridge, GB: Cambridge University Press. Armstrong, C., & Mason, A. (Eds.) (Accepted/In press). The futures of democratic citizenship. London, GB: Routledge. Armstrong, C. (2006). Rethinking equality. (Reappraising the Political). Manchester: Manchester University Press. Armstrong, C. (2018). Normative political theory. In V. Lowndes, D. Marsh, & G. Stoker (Eds. ), Theory and Methods in Political Science (4 ed., pp. 158-172). (Political Analysis). Palgrave/Macmillan. Armstrong, C. (Accepted/In press). Citizenship, egalitarianism and global justice. In R. Bellamy, & M. Kennedy-Macfoy (Eds. ), Citizenship. Where to be a Citizen (Critical Concepts in Political Science; Vol. IV). Abingdon, GB: Routledge. Armstrong, C. (Accepted/In press). Global civil society and the question of global citizenship. In R. Bellamy, & M. Kennedy-Macfoy (Eds. ), Citizenship. How to be a Citizen (Critical Concepts in Political Science; Vol. III). Abingdon, GB: Routledge. Armstrong, C. (Accepted/In press). Citizenship, egalitarianism and global justice. In C. Armstrong, & A. Mason (Eds. ), The Futures of Democratic Citizenship London, GB: Routledge. Armstrong, C. (Accepted/In press). Global basic structure. In D. K. Chatterjee (Ed. ), Encyclopedia of Global Justice New York, USA: Springer. Armstrong, C. (Accepted/In press). Global resource distribution. In D. K. Chatterjee (Ed. ), Encyclopedia of Global Justice New York, USA: Springer. Armstrong, C. (2010). Global egalitarianism versus national self-determination? In K. Breen, & S. O'Neill (Eds. ), After the Nation? Critical Reflections on 'Post-Nationalism' Basingstoke, UK: Palgrave. Armstrong, C. (Accepted/In press). Global equality of opportunity. In D. K. Chatterjee (Ed. ), Encyclopedia of Global Justice London, GB: Springer. I am very happy to supervise students interested in normative political theory broadly, and more specifically in relation to the research interests listed on my profile. Please contact me if you want to discuss a proposal for postgraduate research.